As the temperatures rise in the south of France and we enter the summer hiatus, the activity in the region gradually slows down. On the ITER site, however, the pace remains intense. The noise from drilling, building, and lifting, as the cranes gracefully lift massive loads, does not abate. The F4E team, responsible for the construction of the 39 buildings, ITER International Organization (IO), and the 2 000 contractors’ staff on the ground, remain focused on their tasks. People work round the clock, new equipment is arriving, shifts change, but there is one thing that doesn’t change - the race against time. The civil engineering works at the Tokamak complex, which consists of the Tritium, Tokamak, and Diagnostics buildings, are advancing. The construction works of the walls of the last floor (Level 5) of the Tokamak building have started, raising the total of people involved in the construction of the complex to 750. And just as the building is rising by one level, more concrete is poured to form the so-called crown, where the ITER machine will rest upon. Out of the four plots in total, two have been poured signaling a 50% completion of the works, which are expected to be fully completed by the end of August. Next, it will be the turn of the cryostat support bearings to be installed. Nearby the Tokamak Complex is the Assembly Hall, where piping, cabling, and electricity distribution are on-going. The works are expected to be completed by the end of the year so that the building is handed over to ITER IO. Similarly, the Magnets Power Conversion buildings are expected to be handed over to IO by November 2018. 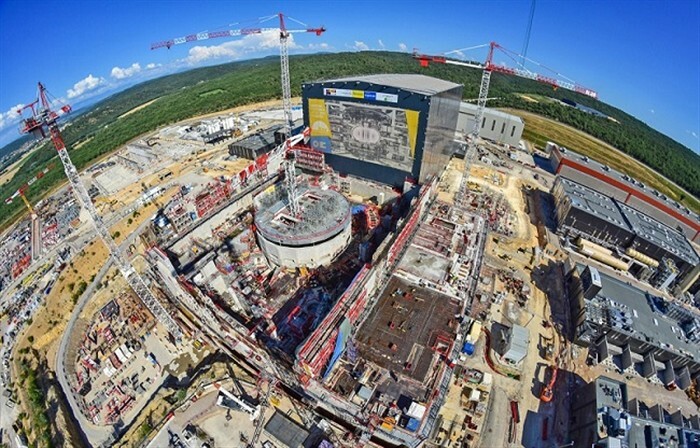 The galleries, consisting of an underground network cross-cutting the entire ITER platform where pipping will be installed, has advanced reaching a 74% completion rate. As tooling keeps arriving from different parts of the world, the workforces in the Assembly Hall are busy putting together the sub-sector assembly tooling manufactured by ITER Korea. The growing number of components is gradually transforming the site from a construction platform to a technical hub. There is progress at the Cryostat workshop, managed by ITER India, where the massive shell is progressing bit by bit. A few metres away, the European tanks of the Cryoplant and cold boxes are fully installed, while other pieces of equipment are mounted inside the cryogenic facility. Europe’s Poloidal Field coils are also manufactured on-site at a facility exclusively set up for their production. There is a wind of change as the pieces of the biggest fusion puzzle start falling into place. The end of this year promises to be a turning point with the completion of some key civil engineering works and the arrival of more components. Stay tuned!